We at SILK BLOWDRY BAR believe that you cannot have style without condition. 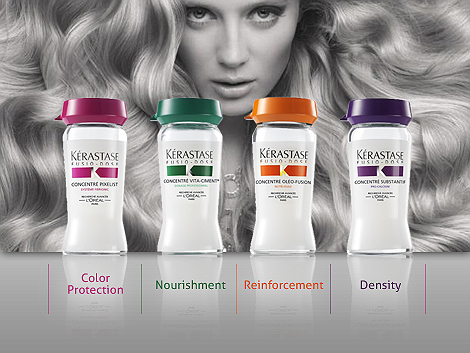 Concentrated active ingredients freshly fuse to create a customized in-salon treatment for your specific hair needs. Capable of resolving all of your hair concerns, Fusio-Dose TM Hair Lab fundamentally treats your hair and immediately transforms for lasting results. Optimized formulas for higher performance utilize the most effective active ingredients, meticulously selected for their fast-action on the fiber. These powerful formulas are isolated in their purest and most concentrated state for truly unprecedented instant hair transformation in just 5 minutes.